The 2012 MudCoast Road Rally is a free exclusive event for members of Road Rally Charities. It is a road rally designed to utilize as many B level maintenance and gravel roads in rural Iowa as possible. Coming fast! You can RSVP on our facebook page! you can now register on our webpage!! i might just have to go to this. 24 teams signed up already! should be a good day! We are up to 37 teams!! with a full week of rain this should be an awesome event! 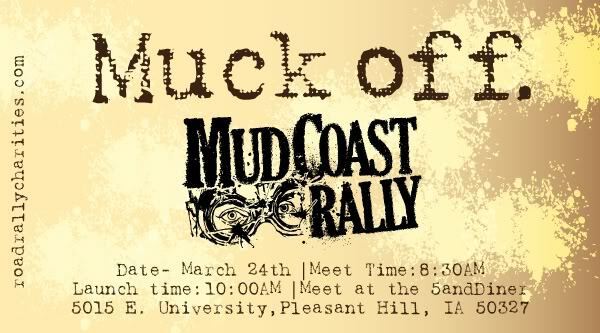 Quick Reply: MudCoast Road Rally! !